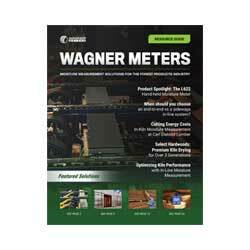 Rogue River, OR (December 2013) – Beginning January 1, 2014, Wagner Meters will be offering a new combo kit for flooring installers and building inspectors who require accurate moisture measurement tools for concrete floor installations. The WFP200 – Concrete Flooring Package from Wagner Meters’ Flooring Division combines the accurate moisture testing of the Rapid RH® 4.0 EX test method with the data protection of the award-winning Rapid RH® DataMaster™. For best concrete moisture testing practices and industry-compliant reporting, the Rapid RH® Starter Combo Pack will get your concrete flooring installations off on the right foot. Start the New Year with a complete and portable concrete moisture testing kit for all your flooring jobs. Our proven and field-tested technology lets you make all your job site decisions backed by accurate and easy-to-read data. Learn more about the WFP200 here, or contact us for more information.